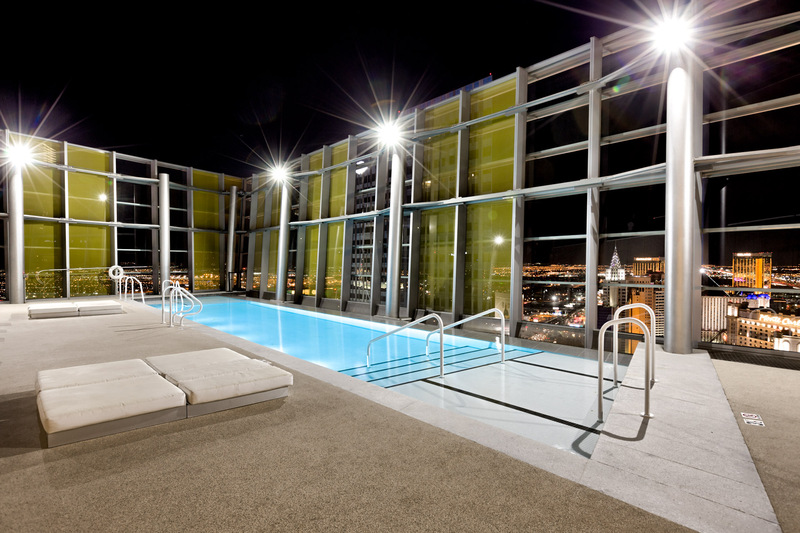 The photo above is of the Veer Towers Rooftop Pool Deck. There is also a Rooftop Spa, Barbecue Area, Top Floor Gym W/ Sauna, Business Center, Theater Screening Room, & Billiards Lounge. All this in an A+ Location Directly on the Strip near the Aria Hotel. Contact The Stark Team to get started in your high rise condo buying search in Veer Towers in City Center, Las Vegas 89158. HOA dues at Veer Towers are priced at about $ 80 cents per square foot per month. All parking at Veer Towers is Valet Only. You can walk to The Crystals, The Park, and the T-Mobile Arena. Veer Towers are about a ten minute ride at most to the new Raider’s Stadium Sites. Nevada Has No State Income tax, No Inheritance Tax. How awesome are these VIEWS from our VEER TOWERS WEST CONDO listing on the 28th Floor?